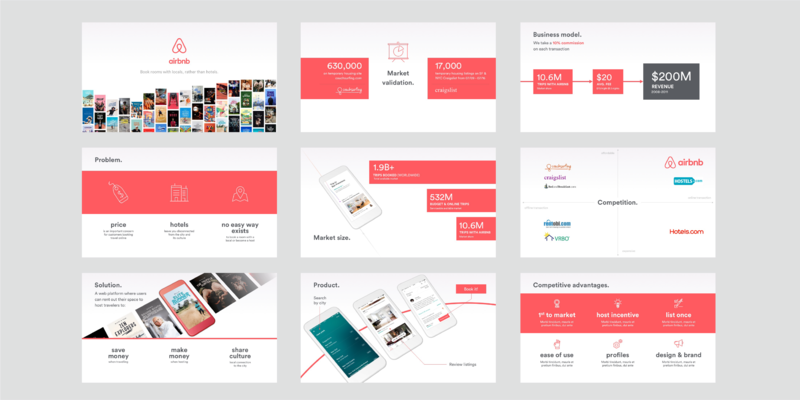 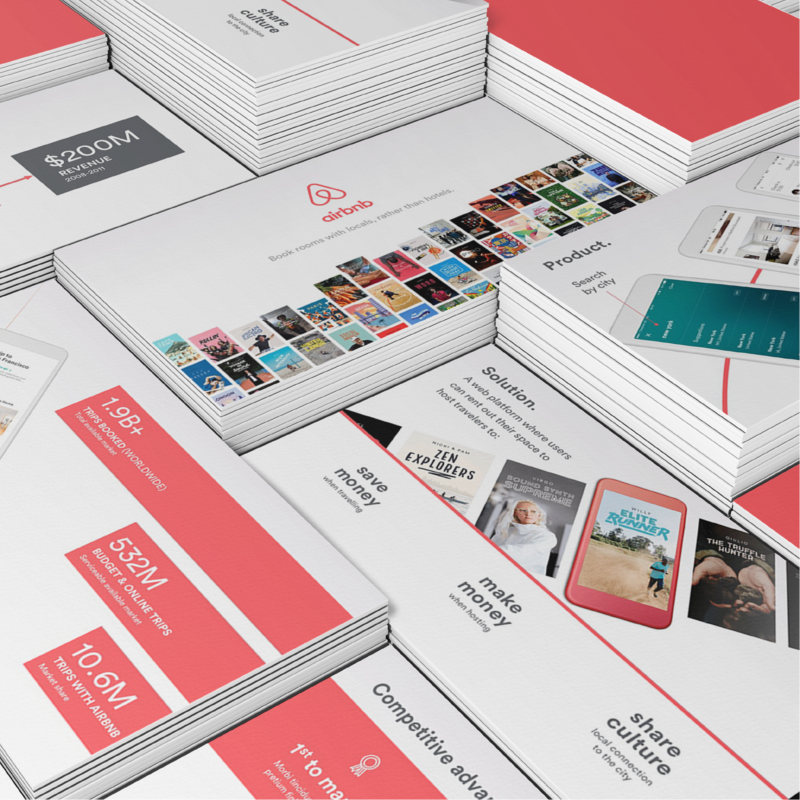 Airbnb's original pitch deck has become well-known in the years since the company's rise. 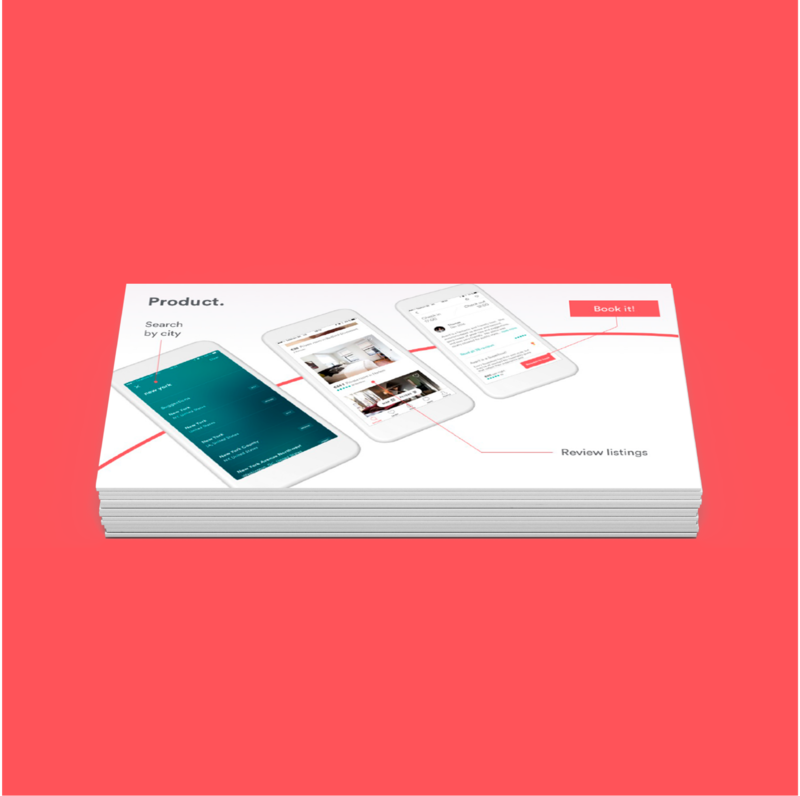 We decided to reimagine it. 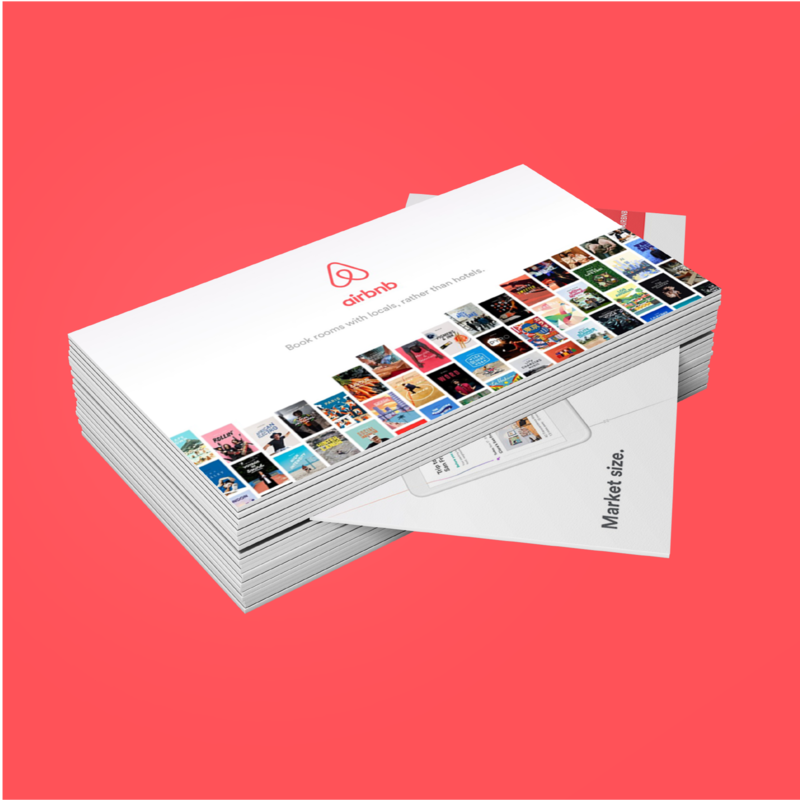 To conceptualize a new style for this famous deck, we employed clean lines, a modern edge, and the classic tenets of Airbnb's branding.